When you receive bad news — and especially when you think you’re going receive bad news — it can be easy to put the whole situation off. You want to avoid pain and hassle, but when it comes to your oral health, this will only cause you more problems. Tooth decay and infection are products of bacterial buildup. Leaving that bacteria alone allows it to proliferate even more. Ignoring a simple cavity now can lead to needing a root canal or a full-on tooth replacement later. If you have a cavity, you should handle it now. You’ll be glad that you did. The fix for a cavity is pretty straightforward. Plus, thanks to modern dental technology, dental fillings are better than they’ve ever been. Tooth-colored fillings made with dental resin match the appearance of your tooth enamel while still providing a stable long-term fix. A dental filling effectively plugs the hole left by bacterial decay. This fortifies your tooth and allows you to eat the foods you enjoy without suffering pain from sensitivity. Your dentist can use mild sedation during your procedure, but if you act quickly enough on a small cavity, you may not even need it. When you address your cavity, you enjoy the benefits of your dental filling right away. When you ignore that cavity, you run the risk of needing a more extensive procedure that costs more money and takes more time later. A cavity requires a lot less hassle than a dental crown or root canal. These procedures definitely require sedation, and can mean multiple visits depending on your situation. Addressing all oral health concerns early leads to the best results. Dr. Michael Flynn strives to provide excellent care that utilizes contemporary dental technology. Modern fillings will help restore your smile and the function of your bite so that you can put tooth decay and cavities behind you. Talk to the team at Flynn Dentistry to get your oral health back on track. 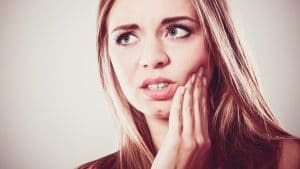 You can make a restorative dentistry appointment by contacting Michael Flynn Dentistry in West Allis, WI at 414-541-8250.